OPEN has issued a claim in the Planning Court to challenge Hackney's decisions to allow demolition of its 200 year old Georgian houses in Dalston Terrace. Hackney granted Murphy Homes Limited, its' "development partner", planning permission to demolish everything on 5th March. OPEN has warned both Hackney and Murphy that, unless they undertake not to demolish the houses until the Court action is resolved, a Court injunction will be sought to stop them. OPEN has been advised by specialist planning Counsel that it has an arguable claim. Thanks to everyone who has donated so generously to pay for expenses to date - you have given us inspiration and hope!! OPEN urgently needs more donations to boost its fighting fund. Another £5,000 is needed to get to the next stage. Please give whatever you can afford to help defeat municipal vandalism and save some of Dalston's surviving fragments of Georgian heritage. Shopkeepers have been trading in Dalston Lane's traditional shops for over 100 years but Hackney's designs involve demolishing the ground floor walls to create "open plan" shops. Such structural intervention is very high risk. Hackney inherited the houses from the GLC when it was abolished in 1984. During Hackney's ownership 11 of the houses became vacant, none were repaired or re-let and 4 roofs fell in. Hackney sold them to an off-shore company in 2002. Local architect and OPEN member, Lisa Shell, commissioned the internationally known conservation engineers, Morton Partnership, who advised that by using specialist techniques nearly all the buildings could still be saved. Hackney's own appointed independent engineers, Alan Baxter LLP, advised that the "open plan" designs probably made demolition inevitable, but Hackney failed to ask them what design changes were needed to save the houses . Hackney simply dismissed these respected engineers opinions and supressed their reports. ( Read "Was there a cover up" here Ed.). Hackney eventually bought the houses back in 2010, but by then four had been destroyed by fires and Hackney demolished them using its Conservation Area powers to make them "wind and watertight". Hackney says demolishing the remainder and building a "heritage likeness " scheme will "enhance the Conservation Area". All of the 44 new flats will be for private sale without any affordable or social housing at all because, Hackney says, the scheme will run at a loss. In fact the opposite seems to be true. Hackney sold the houses in 2002 for £1.8m and, although it paid £3.75m to buy them back in 2010, in 2013 it sold the development scheme to Murphy for £2.4m. So Hackney has net receipts of £450k and will also receive estimated shop rents of some £50k pa once the development is completed. 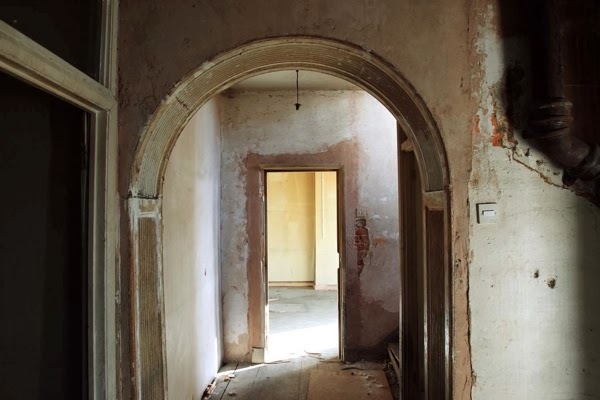 Since 2006 Hackney has been committed to a conservation-led regeneration project, which harnesses the heritage value of the houses. 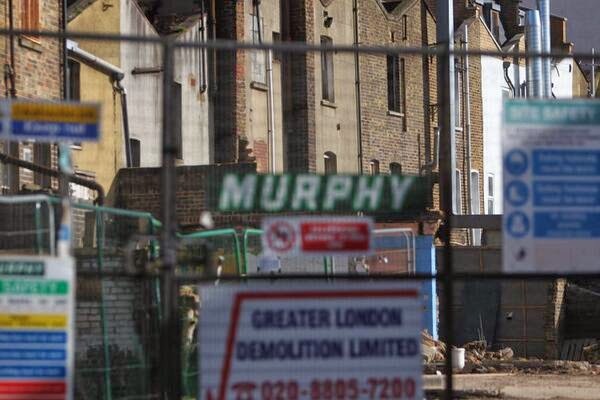 But then, last December, it authorised Murphy to start complete demolition of the 17 houses. 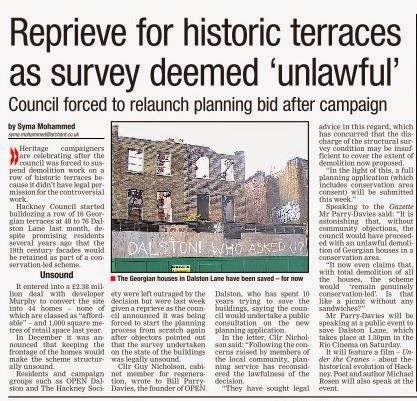 It was only when OPEN's solicitor, Bill Parry-Davies, with Lisa Shell and the Hackney Society, challenged the decision that Hackney admitted it was unlawful and that planning permission was first required (Read "Community stops demolitions" here Ed.). Hackney has refused to review the recent planning permission for demolition and refer the new "demolition and new build" scheme back to the Council which originally had only approved a conservation-led scheme. It is those decisions which OPEN is now seeking to challenge through the Court. Municipal vandalism: the destruction of our cultural heritage by corporate ignorance, deliberate neglect, greed and vanity, all in the name of regeneration, necessity and progress. 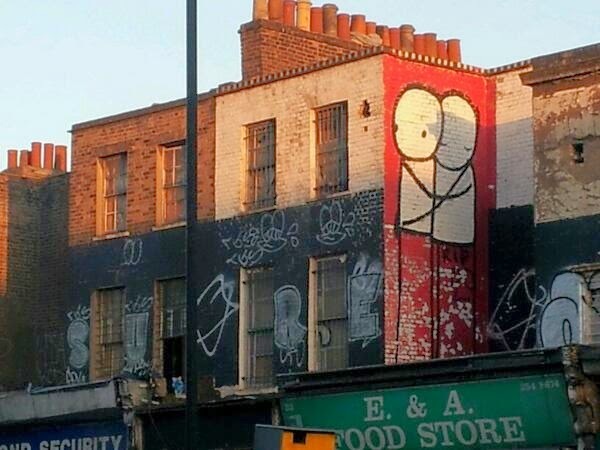 Hackney has refused to review its decision to allow demolition of all its Georgian houses in Dalston Terrace. Hackney was forced to suspend unlawful demolitions last January and OPEN is again now seeking specialist legal advice about this latest development. Hackney has commented to OPEN's solicitor that demolition will not start before 15 April. On 5th March the Chair of Hackney's Planning Committee, in the face of a divided Committee, used his casting vote to grant permission for total demolition of the 200 year old houses ( Read "One man, two votes" here. Ed.) . Hackney has refused OPEN's formal request to review that decision, and to refer the scheme back to its Cabinet. In 2011 the Cabinet, with Dalston's Ward Councillor Sophie Linden in the Chair, had authorised Council officers to procure a "conservation led " scheme. In 2012 the Cabinet had also recommended that the Full Council adopt the Dalston Area Action Plan which prescribes a conservation led scheme for Dalston Terrace. Hackney had advertised the development opportunity, in the European OJEU journal, as "restoration of buildings of townscape merit designated in the Dalston (West) Conservation Area". It later awarded the contract to Murphy, for £2,380,000. The tender competition weighting was Price 55/ Quality 45. (Does that mean Price trumped Quality? Ed.). Murphy's engineers and architects, who appear to have no conservation accreditation, now consider that the buildings are beyond redemption and must all be demolished - although Muphy had entered the contract in June 2013 knowing full well of the problems with Hackney's designs..
Hackney's designs require the ground floor interiors of the 1807 houses to be ripped out to create "open plan" shops - which independant engineers Alan Baxter Associates have advised would cause the buildings to collapse. Hackney thinks there's no place in Dalston Terrace for traditional shops, like in Broadway Market and Covent Garden, although it was recently advised that creating a "village feel" would be the most viable option for the houses. 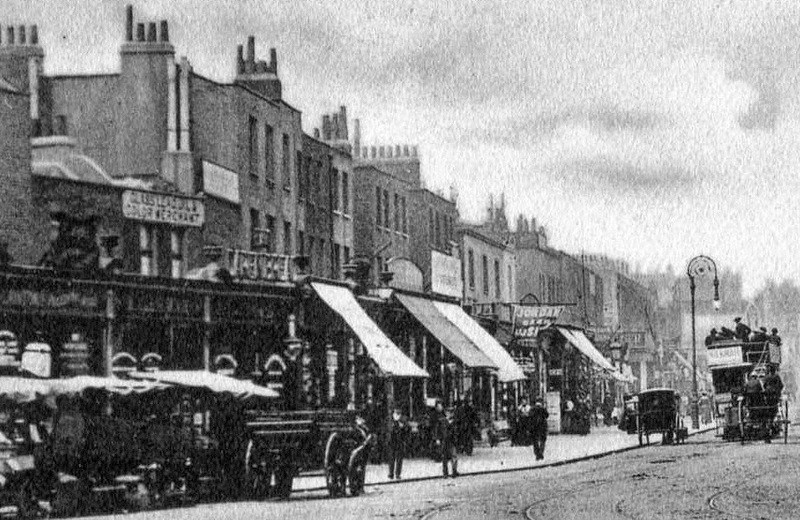 Shopkeepers have been trading in Dalston Terrace, without 'open plan', for more than 100 years. When selecting Murphy as its development partner, Hackney's requirements included ".....a proven track record in projects involving the regeneration of Georgian/Victorain buildings"....."demonstrate previous experience of the restoration of period shopfronts and rebuilding/partial rebuilding of late Georgian and Victorian properties". Murphy's moto is "Breathing life into infrastructure projects" -but sadly not, it would seem, breathing life into Georgian houses. 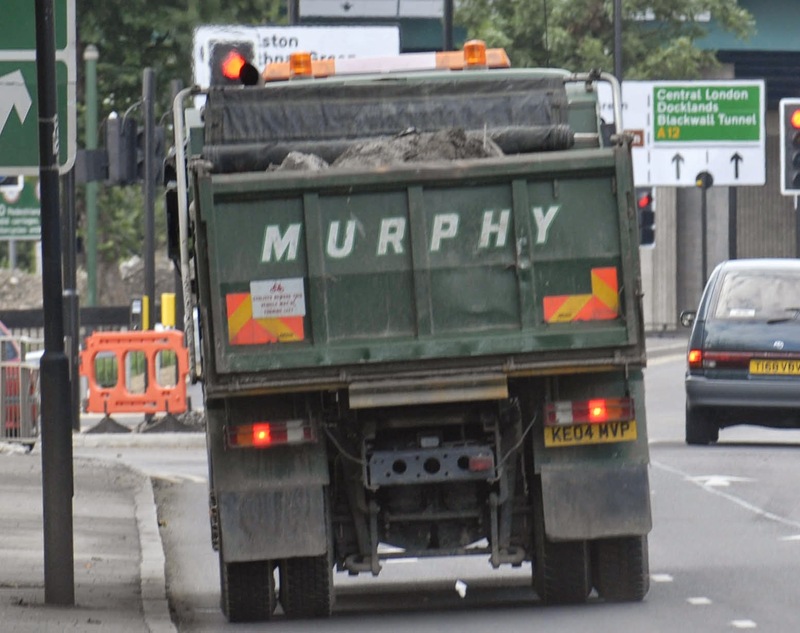 Murphy's have expertise in pipework and undertook excavations on the London 2012 Olympic site to bury cables from electricity pylons. Here is one of their trucks transporting spoil from the former West Ham landfill on the 2012 Olympic site (Shouldn't the spoil be covered? Ed.) The site was discovered to be severely contaminated with radioactive and other toxic waste. 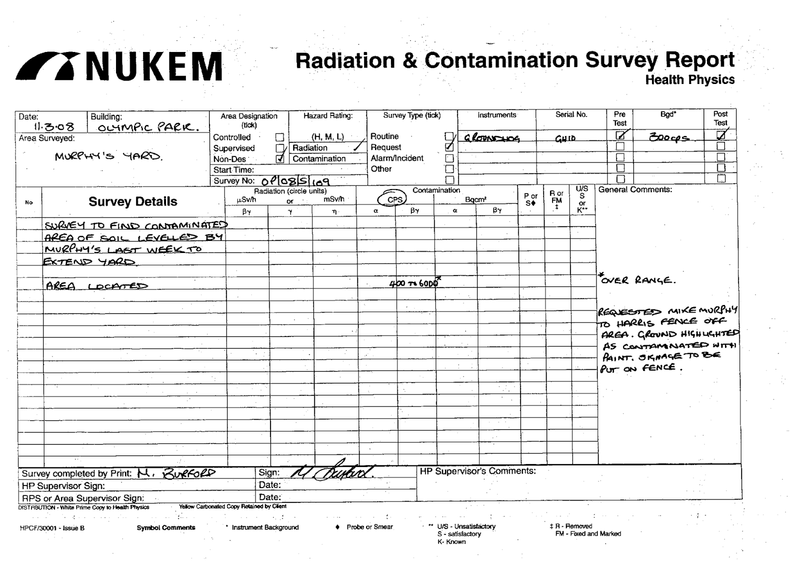 NUKEM's Radiation and Contamination Report, dated 11.3.08, records a survey of Murphy's Yard "to find contaminated area of soil levelled by Murphy's last week to extend yard" on London's 2012 Olympic site. The survey identified radioactive material emitting gamma radiation of up to 6,000 counts per second - 20 times the level deemed safe to leave on site. It is not known if Murphy and their workforce were aware of these hazards. Hackney has refused to reconsider its decisions to permit total demolition and so, it now seems, only a Court Order could stop the demolitions. OPEN has launched an appeal for contributions to its fighting fund. £000's have already been donated, but £0000s are urgently needed if municipal vandalism is to be defeated.